Since our opening in 2007, HR Associates' Clientele has increased seven fold. We attribute our success to our President, Heather Risner. Having 25+ years of job placement experience in the western Ohio Staffing Industry, she knows people, all of them. HR Associates business reputation depends on courteous and professional placement of thoroughly vetted associates with our clients. Our comprehensive application process includes employment history references, criminal background checks, and personal interviews. Candidates must complete the process before being offered a position. Our Associate Cooperative is the best in the Upper Miami Valley. HR Associates' offers Temporary Employees, Temp-to-Hire, Direct Hire, Contract Hire, and Payrolling. We process all payroll checks, W2's, all taxes, and employer related insurances. HR Associates is a member of the Dayton, Piqua, & Tipp City Chambers of Commerce and the Dayton Chapter of the Better Business Bureau. President, Heather Risner started her staffing career in 1992, in Piqua, Ohio. One of Heather's favorite quotes comes from her first Boss, Betty, is "If you leave at the end of the day worn out, you've done your job." Heather is critical of every aspect of her business and expects excellence from her staff. Managing a staffing firm, from 2003-2007, gave Heather her "By the Book" and "Customer First" direction which has catapulted her company forward. Being an active member of the Piqua and Tipp City Chambers of Commerce, has reinforced her relationship with many local businesses. In 2017, Heather’s company was recognized by the Miami County Safety Council for its continuing efforts to improve employee safety in the workplace. Heather and Steve were married in 1994 and have 3 boys. Hands down, being a mom has been the most difficult, yet fulfilling, pursuit of her life. Heather believes, "Friends are my extended family." Heather loves to crochet, read and volunteer at her church in Piqua. Her favorite spot for relaxation includes a pool, bright sunshine and a good book. Vice President, Steve Risner joined day-to-day operations in 2011. He moved to Miami County in 1989, working 20+ years in the retail furniture industry. Through his years of customer service in the Upper Miami Valley, he has gotten to know the community. Currently, Steve handles day-to-day marketing, advertising, and sales duties for HR Associates. Heather & Steve were married in Piqua in 1994 and their family has resided in Miami County ever since. He enjoys mentoring his sons and spending time with Heather. Serving as the Upward Basketball League Director at his church has been one of his favorite undertakings. He loves baseball, Christian Rock, Country Music, and traveling our Great Nation. Office Manager, Michelle Jenkinson-Horner (MJ) began her HR Associates’ career in April 2010. From the beginning, MJ’s integrity and dependability has led her to being HR’s Right-Hand. 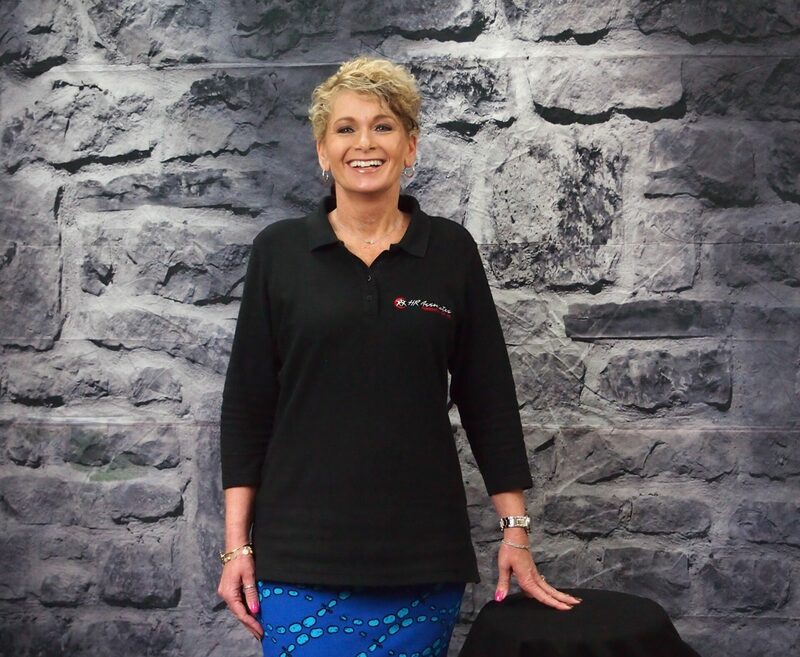 Michelle’s comprehensive knowledge of our business model, as well as our Ultra Staff software is invaluable. Her achievements were recognized at HR’s 10th Anniversary Celebration with the company’s Secret Mojo Award. Michelle, and husband, TJ, are raising their 2 sons, here in Miami County. Michelle loves to read, travel, and spending quality time with her 3 boys.